Do you ever come from a holiday feeling like you need another? Far from being a relaxing way to unwind and recharge your batteries, holidays can be one of the most stressful things that you do. Especially when you are travelling in a large group or with family. You spend endless time organising, packing and planning, only to find that when you arrive, you spend most of your time stressed out and trying to please everyone. Well, holidays shouldn’t need to be like this. Your precious time away from work should be used to relax and unwind. It should be your chance to leave your worries and stresses behind and escape from your real life. You should get home feeling refreshed and ready to tackle whatever comes your way. 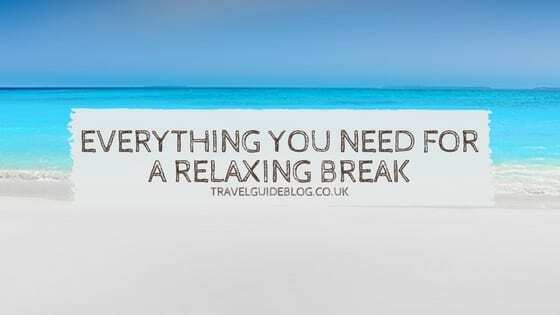 So, if you are ready for a relaxing break, here’s a look at everything that you need to make it happen. You’re never going to be able to relax if you are staying in a heaving resort filled with kids or people on stag weekends. Instead, you need somewhere quiet, where you can relax and be yourself. A home from home, where you can let go without worrying. A luxury apartment to rent in Marbella could be the perfect solution. You’ll be safe, surrounded by home comforts and in a truly luxurious setting with everything that you need. We don’t start our holidays when we arrive at our accommodation. We start them as soon as we leave our front doors. Your journey can set the tone for your whole break. Spend it stressed out, rushed and uncomfortable and you’ll be in a bad mood before you’ve even had a chance to relax. So, change things up. Instead of struggling to get suitcases to the airport on the train, pay for airport parking, a taxi or get someone to give you a lift. If you can afford it, upgrade your seats or at least make sure you are flying with a good airline. Then, make sure you give yourself plenty of time so that you’re not rushing and have a chance to enjoy being at the airport. Treat yourself to a glass of wine and some airport shopping. One of the reasons we get stressed out is that we’ve got nothing to do. So many of us are awful at doing nothing. We can feel almost guilty, and like we have to do something and keep busy. The trick to letting yourself relax is having something to do that you find relaxing. Pack plenty of books to read by the beach, download music and podcasts to listen to or take a camera. Let yourself enjoy something while being still and resting. If you really struggle to do nothing, it can be a good idea to take some gym gear and burn off some excess energy by doing some exercise. This way, you won’t feel like you need to be on the go for the rest of your break. when holidaying with the kids we often feel like this! I always pack loads of books and have a load on my phone too so i’m never far from a good read! Oh I’ve been thinking about all of this over the last few weeks with our holiday looming ever closer. :s I know we’ve got the right accommodation but the transport is still causing us a bit of a headache! Haha! Some fantastic tips! I always like shopping around for the perfect books to read whilst on holiday, such a treat to be able to sit back and relax with a good read!